Figi's® Chocolate Walnut Creamy Country Fudge. Whipped up in small batches for the freshest taste possible. The history of fudge? 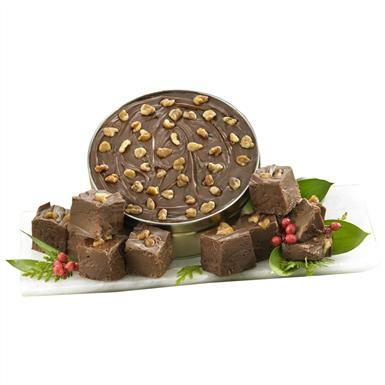 Most believe the first batch was a result of an accidentally "fudged" batch of caramels, hence the name "fudge". But this Fudge is utter perfection, with chocolate blended with delicious, crunchy walnuts for texture. 14 ozs.